There are many circumstances under which you may need to completely reset your iPad and use it from scratch. If in case you don't have an idea as to how to hard reset iPad, this below guide will help you in doing so. The methods mentioned below are quite easy and quick and can be performed by anyone at anytime. There have been many situations in which your iPad may get stuck or may become unresponsive. All such issues due to technical glitches can be easily sorted out by just hard resetting your iPad. Resetting iPad has multiple meanings and this article throws light on the methods involved in every type of iPad reset. This is the normal and the most used method of hard resetting iPad. This is simply the force restart of iPad. In case any functionality problem is faced in iPad, the first thing which must be tried is the force restart of your iPad. To know how to hard reset iPad 2, follow the steps below. 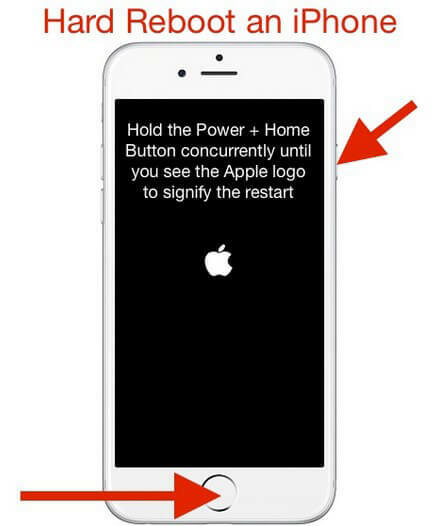 Step 1: Press and hold the Power button along with the Home button till you see the Apple logo appearing on the screen. Step 2: You would have successfully performed hard reset on your iPad and once it reboots and switches on again, you can enter the security passcode to access your iPad. If in case your problem is still not solved, you can try these net methods. If the simple force restart of iPad doesn't work, you can try these four simple methods to hard reset iPad Air to get your iPad functioning normally again. This is the most convenient way to hard reset iPad to factory settings. This is applicable only when your screen is working properly and is responsive to touch. Follow the steps below to hard reset your iPad to factory settings by going to the iPad settings. Step 1: From the main menu of your iPad, select the option "Settings". Once you see the various tabs under "Settings" option, choose "General" from there. Step 2: After this, search for the "Reset" option and from there select "Erase All Contents & Settings". Step 3: You will be asked for your security passcode to confirm the hard reset, confirm by entering the same. By using this method of hard reset iPad Mini, your iPad would be reset to the original factory settings and you can start using it normally by restoring the backup of all your data. The above method only works when the iPads screen is in a good working condition. If that is not the case with your iPad, you can try the highly recommended software Any iOS System Repair which effectively repairs all iOS and android devices and can be easily used for hard resetting your iPad when it is dead, broken or won't turn on. Follow the steps below to know how to do a hard reset on iPad. Step 1: Download iOS System Repair software on your Laptop/PC/Mac and install it, once it is installed connect and link your iPad to the PC/Mac and wait till it gets detected. Step 2: You will notice that there are three options available, choose the third option "Fix All iOS Stuck" and click on it. Step 3: You will be then prompted to install the latest Firmware Package, click on "Download". Step 4: Hit 'Repair Now' and your iPad will be repaired and all the technical issues will be sorted out. This method can be used when you want to hard reset your iPad using iTunes. This method is a very common one and many iOS device users are well aware of this method. Follow the below steps to know how to hard reset iPad using iTunes. Step 1: Open your PC/Mac or any laptop and open iTunes on it and connect your iPad to the laptop/PC/Mac. Step 2: Click on the "Device" option which is present on the top left corner of the screen. Step 3: Click on the "Summary" option and once you do this you can see "Restore iPad" option on the screen, click on that. This method takes a little more time and is slightly a bit more complicated when compared to the other methods. Hard reset has many meanings, as discussed in the Part 1 of this article. Hard reset is simply force restarting your iPad. It can also mean factory resetting your iPad as well. This would mean that once you perform hard reset, all the data stored in your iPad along with the iPad settings will be reset to the original factory settings of the device. Backing up all your data is very essential before you perform a hard reset on your iPad as you may lose all the important data permanently if in case you don't create a backup beforehand. Sometimes hard reset is required for the iPad or any other device as many operational glitches in the device can be easily resolved by hard resetting the device. You will notice that your device will start performing better and its response will also be faster when compared to the time prior to the hard reset. Every device shows some kind of operational issues during its use, this can be easily resolved by the methods mentioned above. Out of all, the easiest and quickest way to do this is by using Any iOS System Repair. 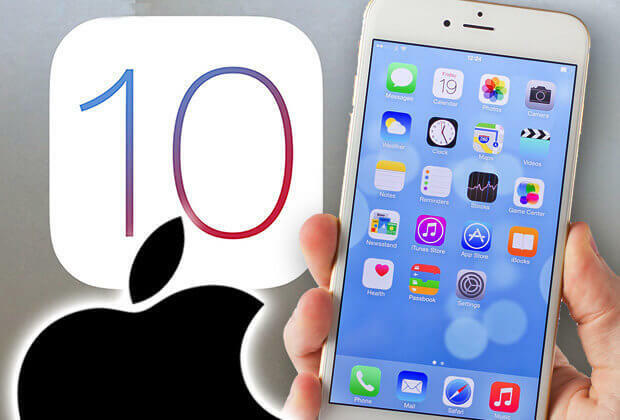 This software is very effective in solving and repairing many other technical problems in iOS devices as well.